Wanda is the founder of Natural Therapies Continuing Education. She was a licensed massage therapist from June 2002 until she retired her license December 2017. She opened Natural Therapies as a full time massage establishment in Murfreesboro, TN in August 2004. Her interest in energy work and Eastern modalities led to a certification in Ashiatsu. 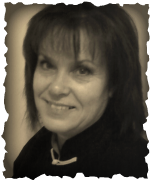 She is a Reiki Master/Teacher and certified Qigong instructor. Wanda firmly believes in "Give a child a fish and you feed him for a day. Teach him to fish and you feed him for a lifetime" For this reason, she became a Massage Therapy Instructor at a local career college, where she taught from March 2009 until March 2013. As a massage therapy instructor she taught Anatomy, Physiology, Kinesiology, Pathology, Business and Ethics. In addition, she worked with hands-on massage and bodywork assessment, theory and application. Wanda acquired approval on both the State and National level as a Continuing Education Provider in 2010. Ara's first Reiki session in 1998 was amazing. That experience inspired her to continue treatment, and over time, she was drawn to learn how to access Reiki healing energy and share it with others. Ara's path has included learning about many holistic healing modalities. She began her own Energy healing practice in Murfreesboro in 2015 at Synergy HolisticWellness Spa. Ara received Reiki Master/Teacher certification from two different Reiki Masters. Reiki helped her discover that her life purpose is healing and teaching others. Her experience as a student supported the development of the classes she now offers for all levels of Reiki certification. Ara believes the Universal Life Force Energy flows through every aspect of our Being, vibrating in the molecules of our body, moving through our mind as thought, and shimmering in our heart as the source of our inner power. Energy healing is her passion; she has incorporated many techniques of healing into the unique expression of her gift. This healing process uses a combination including, but not limited to, energy psychology, AcuDetox treatment, breathwork, crystology, guided imagery, healing affirmations and forgiveness statements, meditation, Reiki, sacred geometry, esoteric and shamanic healing principles. It is an intuitive process that allows for healing to occur at the highest level, directed by the soul of the client in that now moment. As an Ordained Christian Healer and Mystic, Jenny remains in gratitude for her fundamental Christian upbringing, but chooses an ever greater world view and awareness that allows her to work within dimensions unseen for the health and healing of those who come to receive her gifts. Jenny has the rare ability to be able to work successfully with persons of any creed, religion, or belief system (from atheist to orthodox). Each client sets the tone for the work, so each person’s belief system is honored. As an Energy Practitioner, Spiritual Healer, and New Energy Teacher, Jenny creates a space for alignment and recalibration of the body, heart, and soul for socially conscious individuals and organizations. This is done through individual and group sessions, workshops, and teleconferences to provide the context necessary for clients to let go of deeply implanted negative beliefs, recognize their creative power, and use it to its full potential.